In honor of the upcoming premiere of Batman v Superman: Dawn of Justice, we are thrilled to reveal to you… Up to 80% OFF Batman and Superman merch!!! Both film and TV plus toys and collectibles are a part of this smorgasbord of superheroic proportions! This boxset is the stuff of an oldschool Batfan’s dreams! 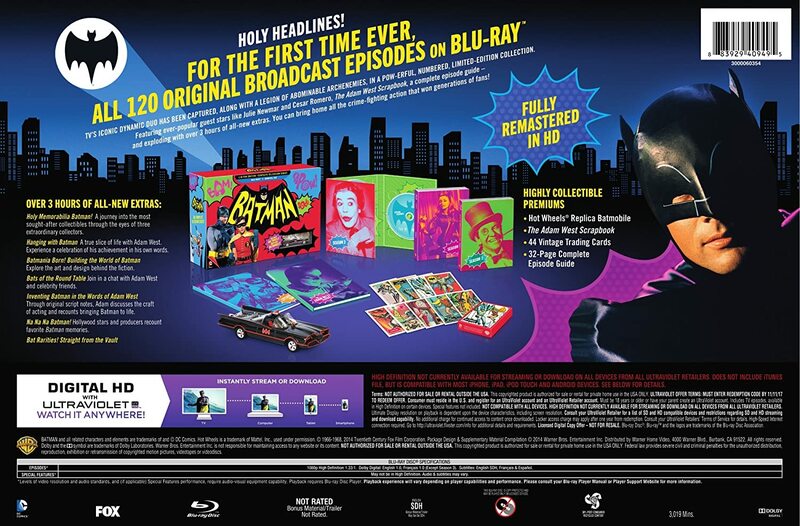 Included is a Batmobile replica, vintage trading cards, an Adam West scrapbook, over 3 hours of all-new extras, and more! Hit this link to behold all of its cheesy goodness! 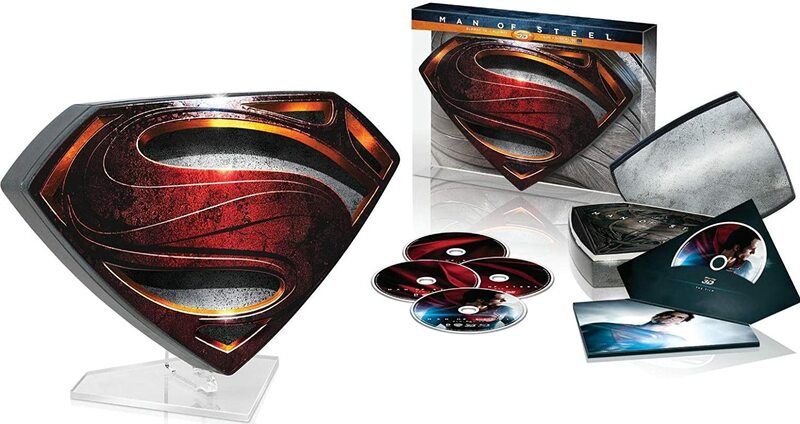 Perfect for a display, and for a pre-Batman v Superman screening, “The Man of Steel 3D Limited Collector’s Edition features the theatrical version of the film in 3D hi-definition, hi-definition and standard definition, and also includes a limited release metal “S” glyph with acrylic glass stand.” And for under $20, we’d be crazy not to take advantage of it! Click this link to take advantage of this, dare we say it, SUPER deal! “A NEW YORK TIMES BESTSELLER! In celebration of Batman’s 75th anniversary, DC Comics is proud to present a special box set collecting three of the most popular and critically acclaimed graphic novels starring The Dark Knight at a special low price. 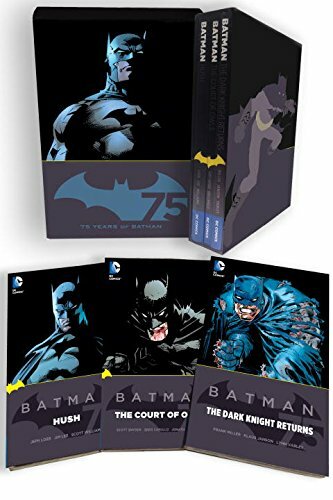 This box set collects trade paperback volumes of The Dark Knight Returns, Batman: Hush and Batman: The Court of Owls.” Whether you’re just getting into the graphic novels or you’ve been a fan from the beginning, you should know these are among the very best and a must for your collection! This link will take you there! It’s the #1 New Release, so it’s hot right now and you’ll want to get it while you can – just in case! Drive the official movie replica Remote Control Batmobile from Batman v Superman: Dawn of Justice! Authentically designed down to the last detail. Features 4 front mounted LEDs, mechanical turret, rear afterburner LED and incredible brushed metal detail. The Batmobile’s responsive linkage steering and 2.4GHz communication deliver precise control and long-range capabilities for a thrilling driving experience. 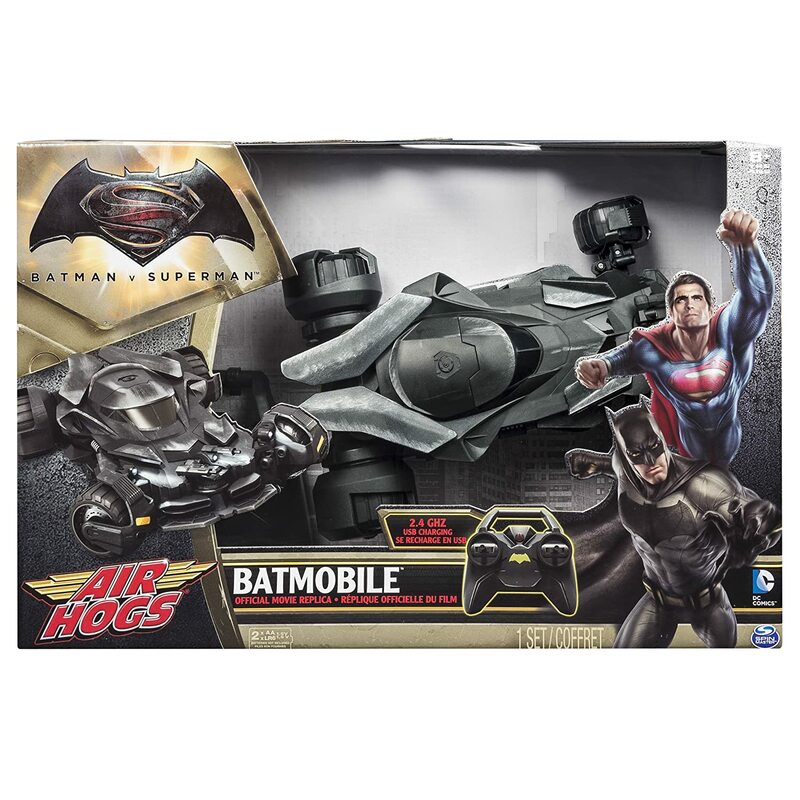 The Air Hogs Official Movie Replica RC Batmobile is for kids ages 8+. 2 AA batteries required for operation of the controller. Batteries not included. And of course, there’s tons more awesomeness on sale today, but it’s today only so you definitely want to act fast while you don’t have to cough up Bruce Wayne’s life’s saving to get it! Click here to leap to the sale page in a single bound! BATMAN V SUPERMAN: WHOSE SIDE ARE YOU ON?